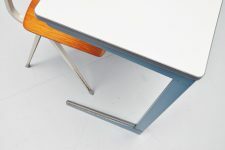 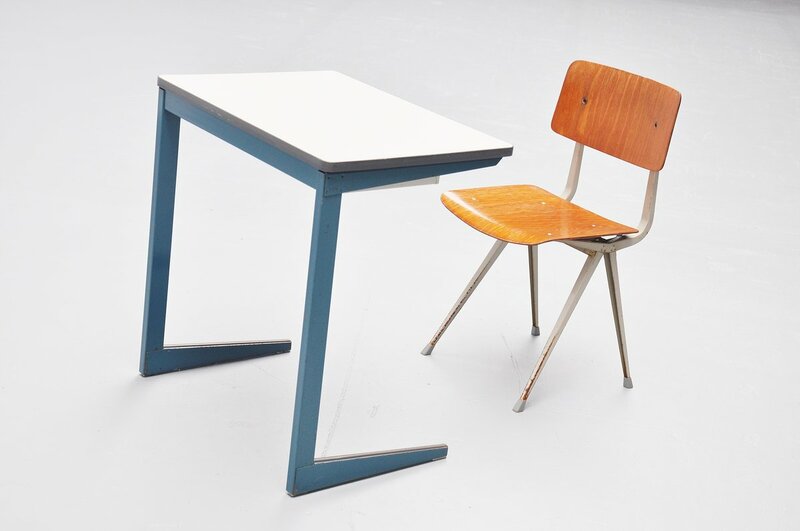 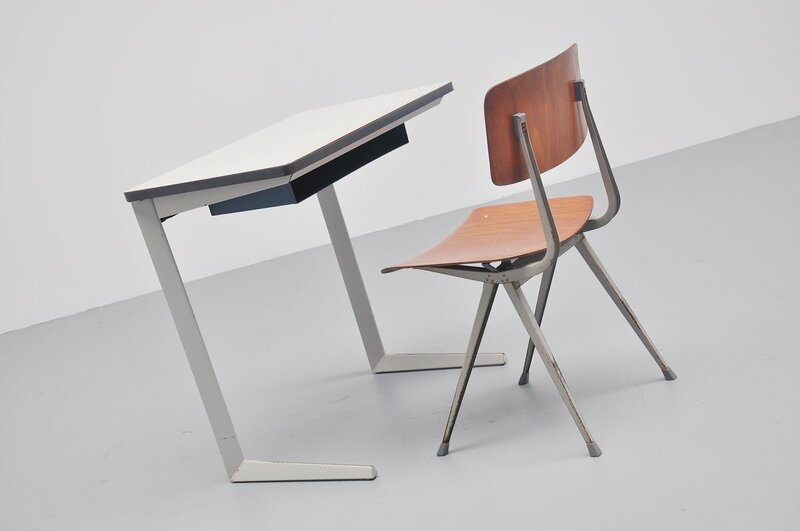 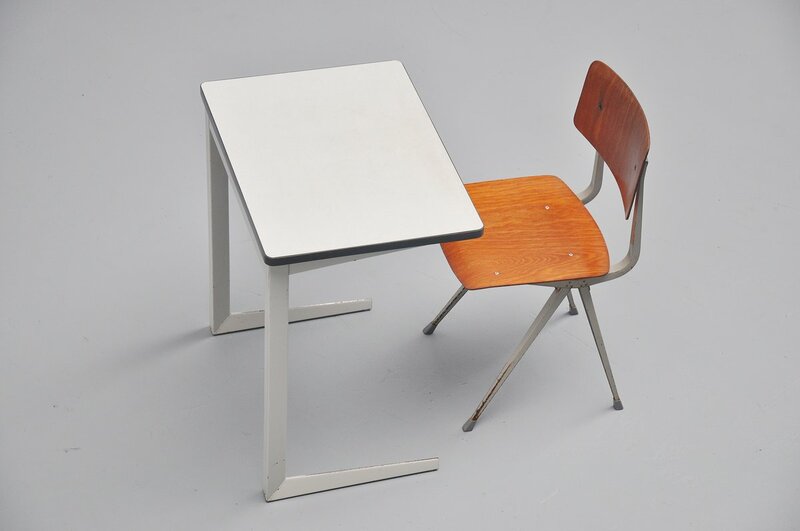 Very nice writing table set from the Result series, designed by Friso Kramer for Ahrend de Cirkel, Holland 1960. 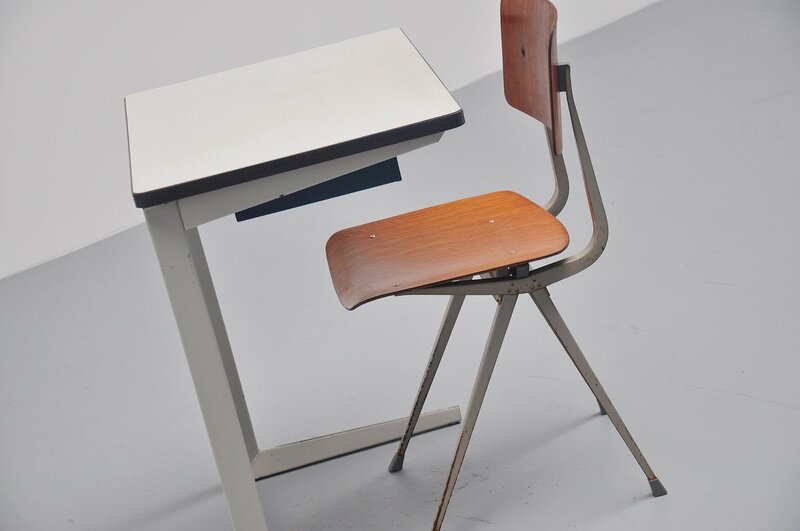 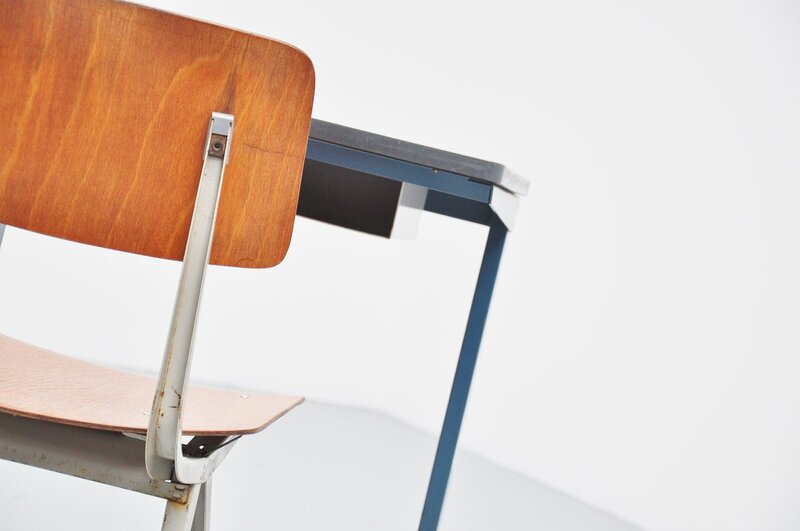 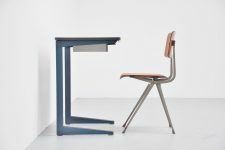 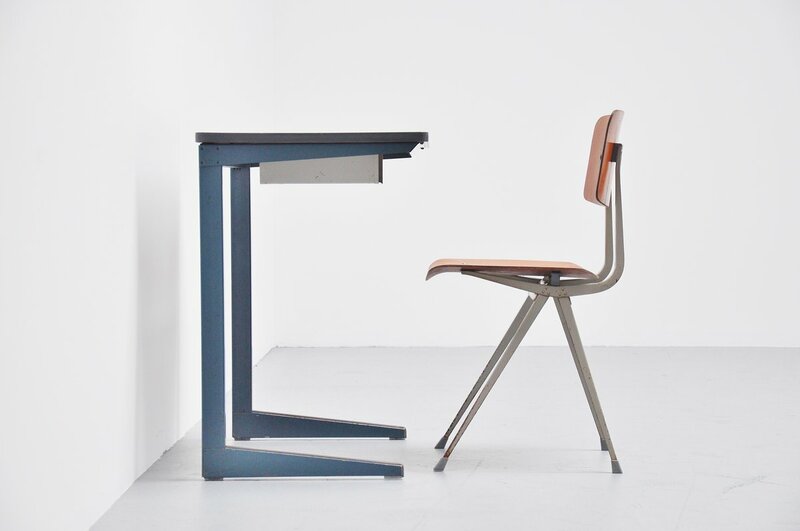 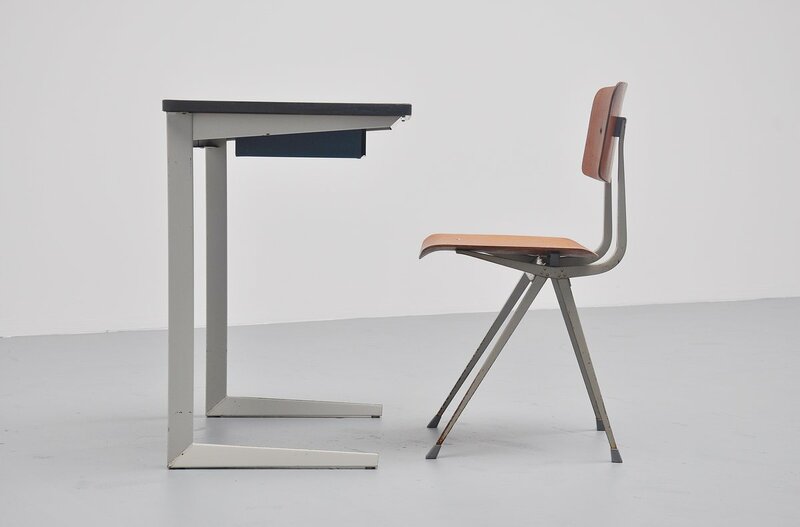 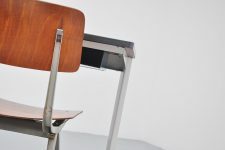 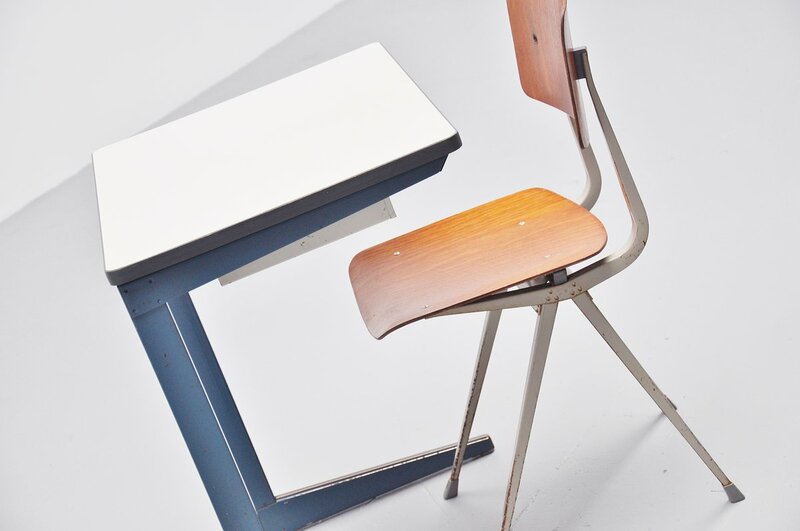 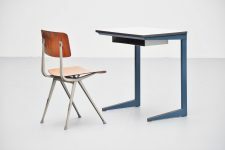 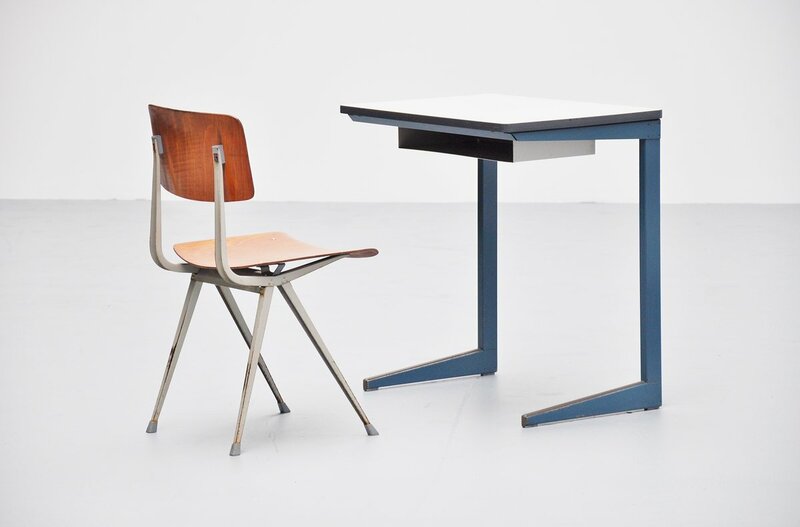 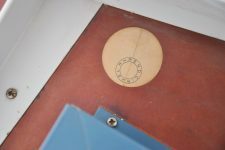 This was the students desk produced by Ahrend, very nice edition with the magazine basket underneath the top for books. Complete set of desk and chair, grey framed desk with blue basket and grey framed chair is a great match.